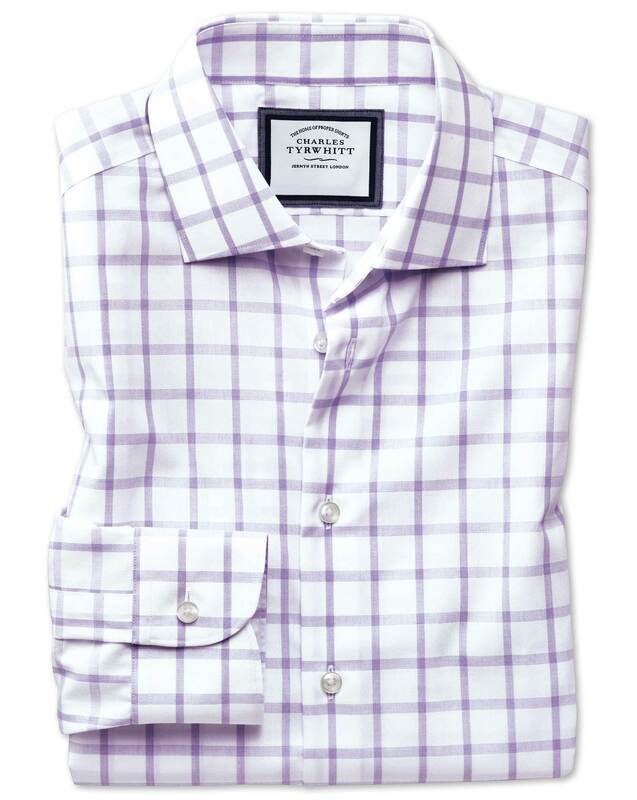 "Check is like the stripe's stylish, slightly more relaxed brother, so it's a wholly logical choice for this range of dashing business casual shirts. Try yours artfully (and partially!) unbuttoned under a blazer." "Leave the iron on the shelf. This shirt is ready to wear right after it's washed and hung." Love the look, but the fabric was far too thin. My undershirt was plainly visible; it's headed back. Response from Charles Tyrwhitt: I am sorry to hear that your recent purchase is not quite as expected, and that the fabric was not quite suited to you. We will of course notify you once your return has been received, and please do let us know if we can be of any assistance with any exchanges. I have many CT shirts (more than 40). They don’t hold up very well. Many of the colors are curling and the white shorts fade quickly. It was a purchase for my adult son who knew nothing of my ordering. Upon receipt he said it was a perfect fit. That makes it five star for me. He is 6'4" with long arms. Difficult to impossible to find in a department store.